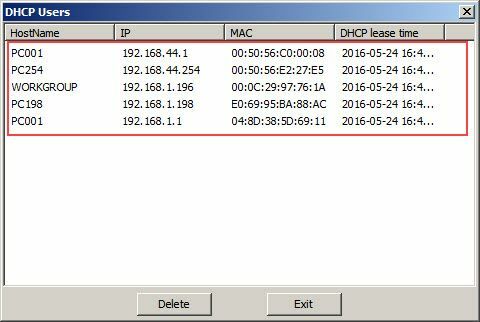 From CCBoot 2016 Build 0530, Non-PXE group has been removed from Client manager node and is now accessible as "DHCP users". Phone, iPad, and Client PCs with harddisk send out their "Computer Name" when sending out DHCP requests, CCBoot server received those requests, then it will assign IP addresses to those devices, and record their computer names (Figure 1-1).This function allows us to distinguish diskless clients from those devices, and to avoid mixing them up. And now in new version its not visible in the Main UI so, you may be wondering where is it gone. Note: Unlike in previous version 20160229 and older, DHCP users will not see CCBoot Image/Game disk. You can open “DHCP User” by pressing “Ctrl + N” on the CCBoot UI. For simplicity, we moved the "DHCP Users" to View Menu and can be opened View -> View DHCP Users.